Rate this Article In this article, we’ll be taking an in-depth look into what contributed to the rise of thematic slot games, and why is it necessary for the casino industry to survive. Being the simplistic yet incredibly addictive games they are known for, slot games haven’t always been the multifaceted version that we now see. In fact, to be honest, slot games, back when they were slot machines, have actually been on the verge of being deemed “outdated”. However, like most industries, some casino businesses, such as NetEnt and Microgaming, have managed to timely embrace the world of the internet, allowing them to dominate the online casino industry. However, despite opening up a whole new market, they are still facing some problems in addition to having to stay relevant, and one of the main concerns of most online casino sites is the need to really engaging their players, making them want to come back for more. After all, the internet is simply too big a market to realistically and fully monopolize, and the only real way for online casino sites to truly attract more players, aside from being reliable and reputable, is to provide variety. That’s where thematic slot games come in! Before we start, let’s just get the elephant out of the room - classic slot games may be fun back when it was first introduced, but now, it just feels like an artifact that may not even be remotely pleasing to look at, especially if you consider the juicy eye-candies that players are being exposed to on a daily basis in this day and age. Beautiful graphics, and not necessarily the flashy ones, is the way to go! Not to mention, slot games are essentially simple games with complex but similar game mechanics, and as such it’s very easy for a player to just move on to the next game. The key question here is how online casinos can engage these “fluid” players so that they are more likely to return to the same casino site? Well, that’s a pretty easy million-dollar question to answer – just use what your players like to create a slew of slot games! 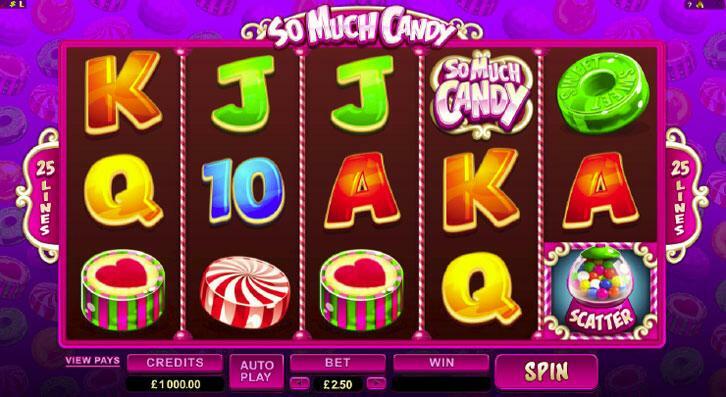 Just consider this – ever since the rocketing rise of match-3 games due to Candy Crush Saga, candy-themed slot games have also seen to attract the very same demographic which was hooked on most of King’s puzzle games. This is also true for gems-themed slots as gems-based match-3 games caught on during the whole match-3 craze. It’s a great way for online casinos to make use of this fact to solve another pressing concern of the industry and maybe turn it into more profit. How? Well, do you know that the “young adults” demographic within the online casino business is few and far in between? If not, now you do. Anyway, the online casino businesses could harp on the most current pop culture among the younger demographic and get them interested in playing slot games. Of course, this could even be a great way for online casinos to help other companies build their brand or advertise their product. For example, the recently released Beauty and the Beast movie was a huge hit among the millennials, particularly female young adults. Thus, an enterprising online casino has taken the initiative to create a Beauty and the Beast-themed slot game. Besides popular films, online casinos could also create games based on cult and/or pulp fiction to cater to various Niche groups that linger around on the internet, broadening their demographic and allowing them to attract and engage more types of players. Now, of all the online casino sites that we’ve seen so far, Betway Casino has definitely the right idea. They not only believe in offering the best promotions and deals; they also believe that variety is the spice of life. The website provides over 400 5-reel and 3-reel online slots along with classic fruit slots so you could play a different slot game every day and still have some leftovers by the end of the year. Best yet, the site keeps adding in new slot games as they are being produced, so you’ll always have something new and fun to look forward to after a long day of work. Want to play all those themed slot games while on the go? Well, you now can with the Betway app. After all, it’s a great way to dispel some of those idle boring moments in life while you’re waiting for the train, on a long trip or even while doing the number 2 (Don’t worry – we won’t tell... *winks*). With online slots, it’s easier than ever for the online casino industry to come up with new slot games at a much lower cost and to feed their players’ need for an increased variety. In fact, most players kind of expected it. That said, offering a wide variety of themes is becoming a way for online casinos to show variety and that may work for now, but, in the future, it is more necessary than ever to diversify and innovate slot gaming by, for instance, merging popular gameplays and mechanics, if famous online casino businesses are to maintain their current lead in the popularity race.